Lockouts or lock change-out’s. We are there for you. No business is too small or too big. 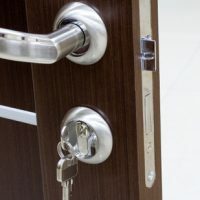 We offer high security locks to low cost entry locks. Available 24 hours a day for whenever your business needs us. Providing discrete appointments to emergency situations, we get the job done fast so you can continue focusing on what matters to you most. When needing that factory, plaza, warehouses, or those corporate company’s serviced be sure to choose AAA Locksmith. Whether it’s new locks, emergency or non-emergency lockouts, or rekeying multiple locks, we are always ready and able to get the job done. Service account’s always welcome, old accounts or new accounts. We are there for you!